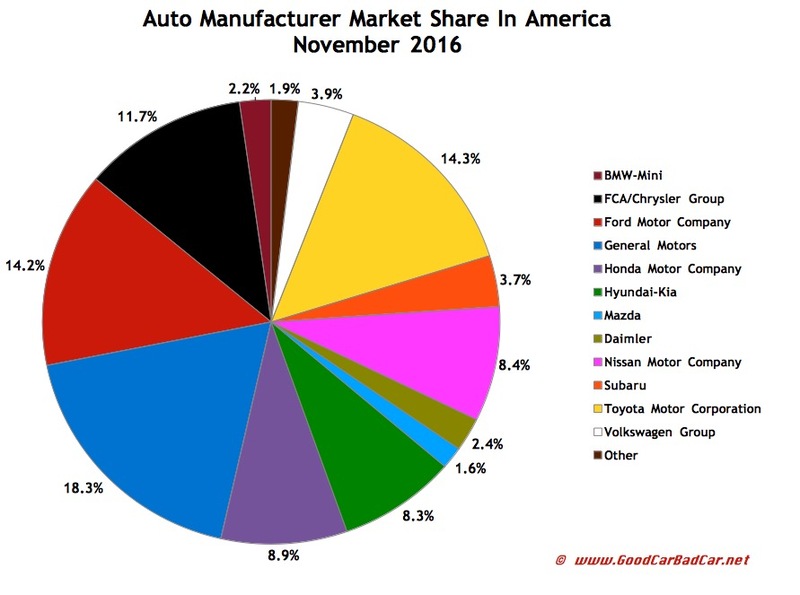 Forecasters expected year-over-year improvements of around 4% for the U.S. auto industry in November 2016 as sales volume likely expanded thanks to a lack of post-election turmoil, strong incentives, Thanksgiving weekend shopping, and a sales month two days longer than in November 2015. A 4% leap forward to roughly 1.37 million sales would have produced the highest-volume November in history. U.S. auto sales did in fact jump 3.6% to more than 1.37 million sales in November 2016, propelled by big gains at every General Motors brand, healthy improvements at Hyundai and Kia, and growth at Toyota, Ford, Honda, Nissan, and the Volkswagen Group, as well. First to report: Ford Motor Company, which declared a 5% overall uptick with help from utilities (up 19%), F-Series pickup trucks (up 11%), and the Lincoln brand (up 19%). Total Toyota sales rose 4% despite a Lexus slowdown – Toyota posted big gains with the Highlander, Corolla, Tacoma, and Tundra. General Motors, the largest seller of automobiles in the United States, jumped 10% with meaningful improvements at all four brands. 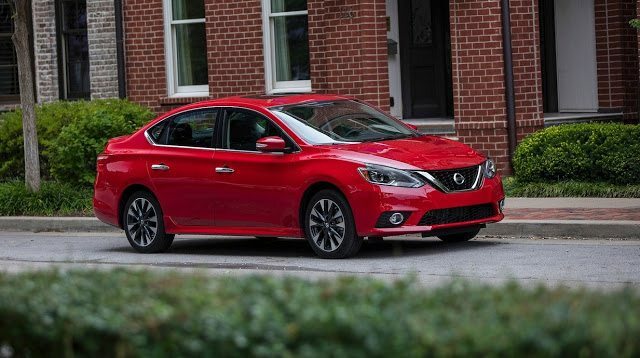 Nissan reported more than 100,000 Nissan brand sales for the tenth consecutive month; total Nissan/Infiniti sales were up 7.5%. Fiat Chrysler Automobiles reported a sharp 14% total sales drop because of declines at almost every brand: only Ram’s 12% shone as a bright light. Despite a 5% Acura drop, total American Honda numbers were still up 7% because of rising Accord, Civic, Fit, HR-V, and Ridgeline numbers. The Volkswagen brand jumped 24%, year-over-year, a comparison helped by November 2015’s post-emissions crisis crash. Compared with November 2014, Volkswagen sales last month were down 6.5%. Mercedes-Benz was America’s top-selling premium brand in November and leads the year-to-date tally (vans excluded) by an insurmountable 18,180-unit margin over Lexus. Ford was America’s top-selling brand in November 2016. Heading into December, Ford leads second-ranked Toyota by nearly 350,000 sales. General Motors led all manufacturers with 252,644 November sales. With one month remaining on the calendar, the Ford Motor Company is 362,241 sales behind GM. The Ford F-Series was America’s top-selling vehicle and truck in November. Toyota, with the Corolla and RAV4, topped both the car and SUV charts. If you don’t wish to see automakers arranged alphabetically, click column headers to sort automakers by November sales, year-over-year change, year-to-date totals, or any other order. Best seller lists for cars, trucks, and SUVs will be added later this afternoon. In the coming days, GCBC will also publish a complete list of year-to-date sales for every single vehicle line, a list which includes brand results. (Check out the 2015 version here.) You can always find historical monthly and yearly sales figures for any brand by clicking the brand name in the table below or by selecting a make (or model) at GCBC’s Sales Stats page. Click column headers to sort by specific categories. 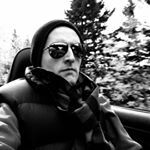 Using the mobile version of GoodCarBadCar? Thumb across the table for full-width visibility or switch to the web version at the bottom of the page, at which point columns will be sortable. ^ Excluding Sprinter/Metris: up 1.1% to 30,363 in November; down 0.2% to 308,226 YTD. WSJ estimate for Tesla: up 45.8% to 4375 in November; up 73.8% to 35,375 YTD. estimate for Tesla: up 4.4% to 2250 in November; up 5.4% to 24,475 YTD. † Industry total takes into account Automotive News figures/estimates for brands such as Tesla and other low-volume, high-priced manufacturers.